Not a lie per se, but visual falsehood. Which, if you think about it, is all the same. After hearing the thinly veiled shots thrown his way by Drake on Rick Ross's "Stay Schemin'", Common returned fire, calling the Toronto-native "Canada Dry". 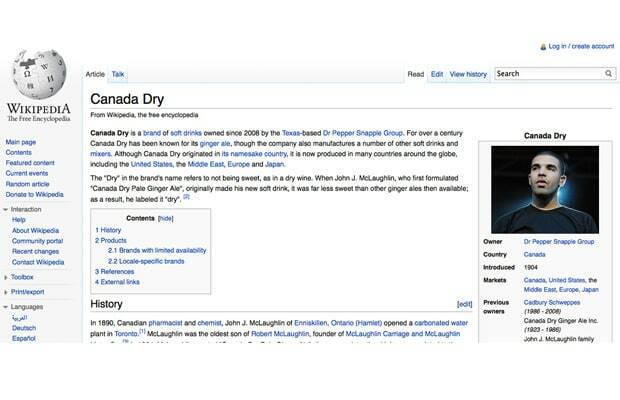 It was only a matter of time before someone changed the main image on the Canada Dry Wikipedia page to a photo of Drake. Dude just can't catch a break.